In the caster industry, there’s always a dilemma of the type of caster wheel to use. Should one go with a hard or soft wheel material? How hard or soft should this wheel be?  This article will discuss the factors to look at when making this decision.  To understand how a hard and soft wheel can make a difference, it’s important to look at the science behind how each type of wheel acts on a floor surface with an obstacle. In a picture perfect world, all floors would be rigid, smooth, clean, and level (similar to the image in the bottom right). In this scenario, a hard wheel would be perfect, because the wheel and floor would deform so little that almost no rolling resistance would be felt. However, in many cases, a floor like carpet or linoleum, as examples, are soft and can deform with a heavy load (similar to the image in the bottom left). 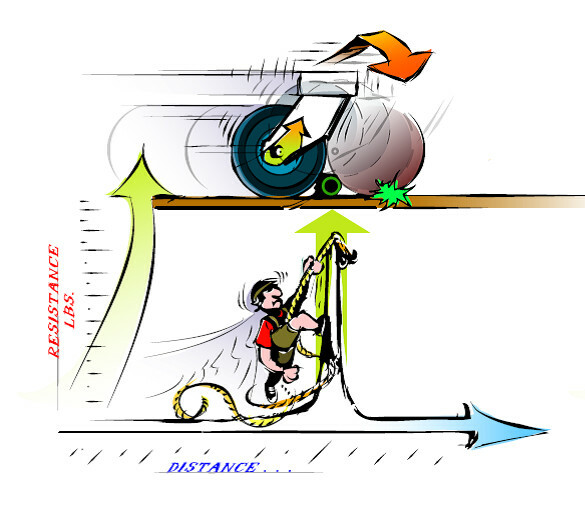 This increases the resistance force place on the wheel and the user. Take figures 1 and 2 below for example, a hard wheel seen in (figure 1) needs to “climb over” an object because of how hard and rigid it is. To climb over the obstacle, a large amount of force is required and represented graphically, as shown here, it’s like climbing a steep hill to get over the top. 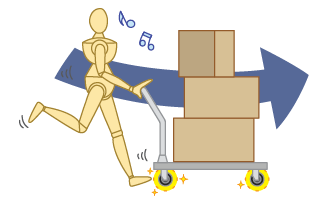 A soft wheel (figure 2) can conform and “rollover” the obstacle much easier. The graph shows the amount of force necessary to reach the top is much lower and smooth, which makes it easier to “climb” to the top. 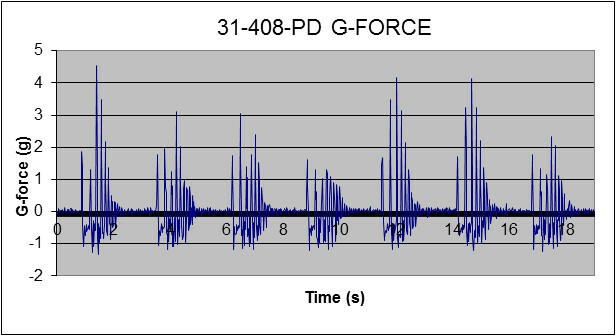 The sudden change in force seen in figure 1 also correlates to the bumpy ride you typically feel when pushing something over a rough floor surface. In reality, most obstacles aren’t this large, but most floors will still have small, noticeable roughness and debris that can still act as “obstacles” for the wheel. Another factor to consider when choosing the right type of wheel is the amount of instantaneous impact a caster might experience. G-forces can be measured in this case to determine, not only the additional forces that are applied on impact with a bump, but will give a good idea of how loud or quiet this caster will be. The amount of “G ’s” a caster experiences is basically the amplification of force on the caster. Imagine a caster carrying 100 lbs going over a bump causing it to experience 5 G’s of force. 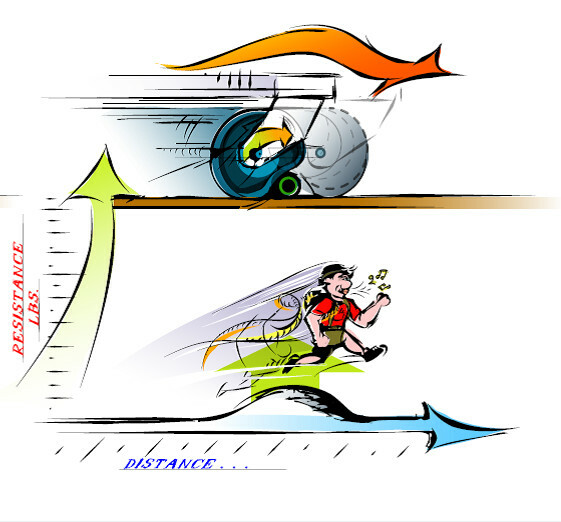 That 100 lbs will feel like 500 lbs because of the additional acceleration. Graphs 1 and 2 shows this difference (Neoprene has a shore hardness of 62A and Urethane has a shore hardness of 90A). Graph. 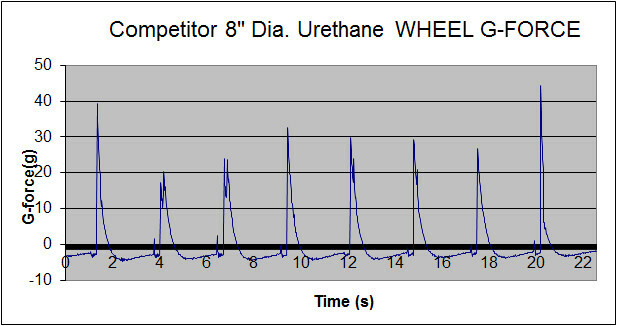 1 shows the soft Neoprene wheel experiencing much less G’s than the harder Urethane wheel (Graph. 2). The reason for this is the softer wheel will inherently absorb more of the shock load over a harder wheel.  This short article has endeavored to show the importance of when to choose a soft caster wheel for your company’s fleet of carts.  Choosing the right wheel for the right application will improve a company’s operations and increase efficiencies in the workplace. Rigid Caster with Option, Rig made of pressed steel, bright zinc finish, Top Plate mounting. Neoprene wheel tread, Precision Ball bearing.